The first wave of acquisitions was driven by incumbents in an effort to slow down client defection to new entrants. “The Secrets of Technology Disruption and Their Impacts on Deal Making” session featured Steve Dunlap of Folio Dynamix, Neal St. Clair of Vestorly, Michelle Feinstein of Pershing Client Technology Solutions and Bob Hermann of Discovery Data. These technology executives focused on identifying the key lessons learned from technology disruption and how those will play out in mergers, acquisitions and technology partnerships going forward. Four key areas of disruption were identified by ECHELON Partners to set the stage for the discussion. These categories included incumbent fintech firms that have been around for decades, new technology entrants that are bringing solutions built on the latest tech, and the impact of technology disruption on advisor economics – both positive and negative. According to ECHELON, the majority of disruption is happening in the incumbent space where older firms with legacy desktop, server-based systems are being rapidly replaced by more nimble, mobile-friendly cloud-based platforms. The first wave of acquisitions that have happened over the last couple of years was driven by these incumbents in an effort to slow down client defection to new entrants and immediately bring in the latest capabilities. Some of these include the acquisition of Black Diamond Performance reporting by Advent Software (that combined entity was subsequently acquired by SS&C); Tamarac, acquired by Envestnet; Orion Advisor Services, acquired by private equity firm TA Associates; Fortigent, acquired by LPL; and FolioDynamix acquired by Actua, just to name a few. On the advisor economics front, the entrance of robo-advisors is clearly having a disruptive impact. 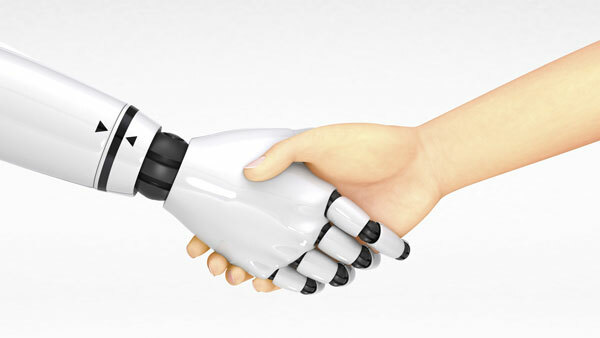 The early success of the robo-advisors has led to commoditization of investment management services from hundreds of basis points based on assets under management to basically zero – Schwab’s robo advisor is “free.” Blackrock, Invesco, Fidelity, Envestnet and UBS are just a few of the well-known, established firms that are investing hundreds of millions of dollars in M&A deal making to acquire these new capabilities versus building them in-house to remain competitive and on the forefront of technology delivery. However, in the positive disruption category are the many technology acquisitions and partnerships that are rapidly being formed. These new integrations are designed to remove manual processes inherent in service delivery, improving accuracy and timeliness, and reducing costs in a much more competitive and regulated environment by bringing multiple applications together into one integrated environment. The panel agreed that this will be a prime area of investment, as technology firms and custodians are all pursuing the holy grail of a “unified technology stack” that brings all categories of advisor technology together into one composite application including financial planning, rebalancing, portfolio management, wealth reporting, risk analysis and client experience technology to bring advisors scale, lower costs and improved productivity. Recent acquisitions under this strategy include Fidelity’s high-profile acquisition of eMoney for $250 million, Envestnet | Tamarac’s acquisition of Finance Logix for $30 million as well as the mind-bending acquisition of Yodlee for $600 million, plus the acquisition of Total Rebalance Expert (TRX) by Morningstar. Additionally, technology partnerships are being formed to complete the unified technology stack, including FolioDynamix partnerships with MoneyGuidePro for financial planning, Risk Pro for risk analysis, Quovo for account aggregation and Scivantage for robo services. Known as the “Fiborg Constellation,” this combination of systems will be integrated into the FolioDynamix portfolio accounting, performance reporting and rebalancing platform. Similarly, SS&C Advent is rolling out the new Black Diamond Wealth Platform integrated technology stack, which consists of Advizr’s financial planning and Riskayze’s risk analysis platforms, combined with Black Diamond’s portfolio management, performance reporting and client portal, and just announced its acquisition of Salentica to round out their technology stack with new CRM capabilities. On the custodian front, divergent strategies are starting to emerge with different approaches to bringing the best technologies to advisors. Two of the big players, TD Ameritrade and Pershing, are deploying an “open API” integration facility to allow advisors to choose their technology solutions. The open API structure enables third-party software vendors to code to the custodian’s APIs and bring as many of them as possible into an integrated solution. Fidelity’s strategy is to acquire these capabilities (such as eMoney Advisor) and build them into a proprietary bundle known as the Total Advisor Platform. Meanwhile, Schwab is staying in the murky middle with its Gateway initiative. This flurry of acquisitions and technology partnerships is expected to continue as consumer technology innovation sprints ahead, and the advisor industry attempts to keep up and reinvent itself by adopting the latest client experience technologies to stay one step ahead of the robots. To learn more about what went on at the Deals and Deal Makers Summit, check out the #DDM2016 hashtag on Twitter. — Correction: An earlier version of this article incorrectly stated Michelle Feinstein was part of Pershing Advisor Solutions. She is director of product strategy and client engagement for Pershing Client Technology Solutions, a separate business unit. — Read Technology Integration Critical to Compete With Wirehouses on ThinkAdvisor’s TechCenter.